FUEL PERFORMANCE direct replacement fuel pumps, modules, and assemblies are designed to meet or exceed OEM specifications, and feature upgrades that improve on the OEM design. Upgraded polymers, brushes, and commutators ensure long life and durability in multiple fuel blends. Each FP fuel pump is backed by a Lifetime free replacement warranty. If there is any issue of any kind at any time, give us a call or email us and we will replace the pump free of charge. All of our OEM replacement fuel pumps are QS9000 certified and feature a LIFETIME warranty. Our pumps are efficient, quiet, and long lasting. They are designed to maintain the high pressures that modern fuel injected vehicles require. 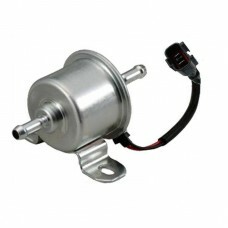 A number of advantages have been designed into our pumps which are not found in other OEM replacement fuel pumps. Notably, our pumps are significantly quieter. Instead of the vibrating hum that is usually associated with aftermarket OEM replacement pumps, our pumps produce a very faint "wheen" sound during priming (when the key is first turned on) and are virtually SILENT when the engine is running.